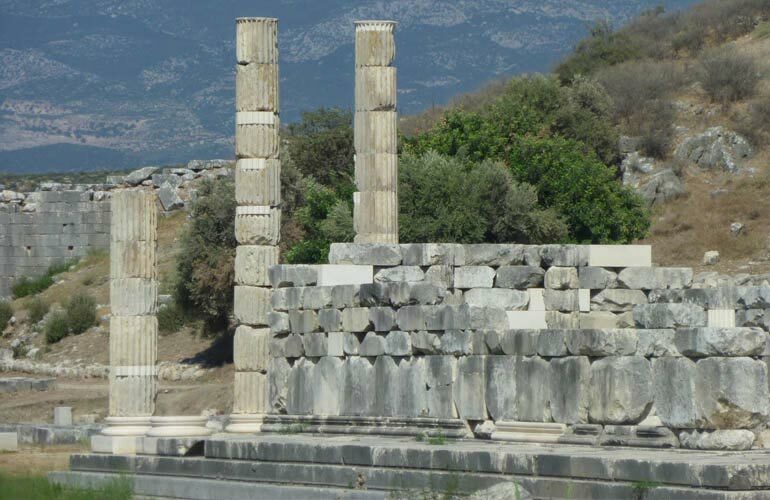 Near Xanthos city a small city in the honour of Leto, mother of Apollo and Artemis was established. 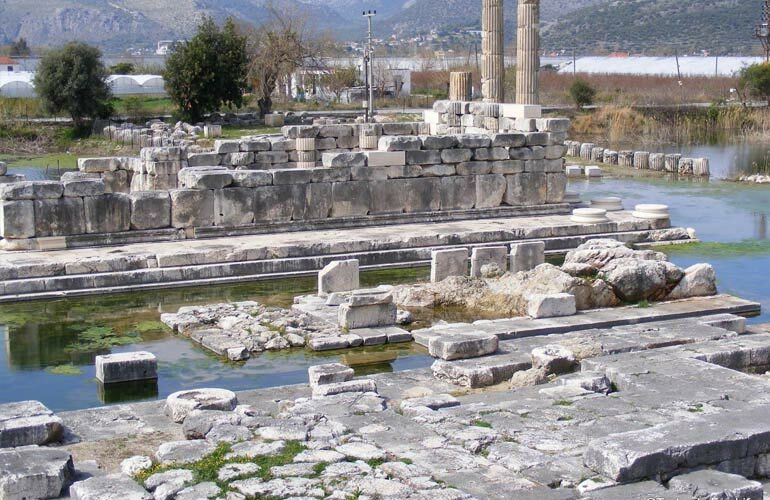 Letoon was the religious centre of Lycian. 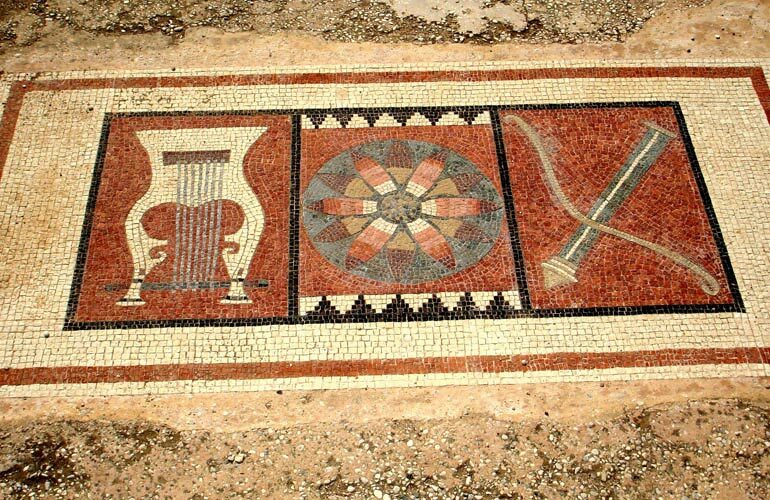 Temples of Leto, Apollo and Artemis are next to each other. 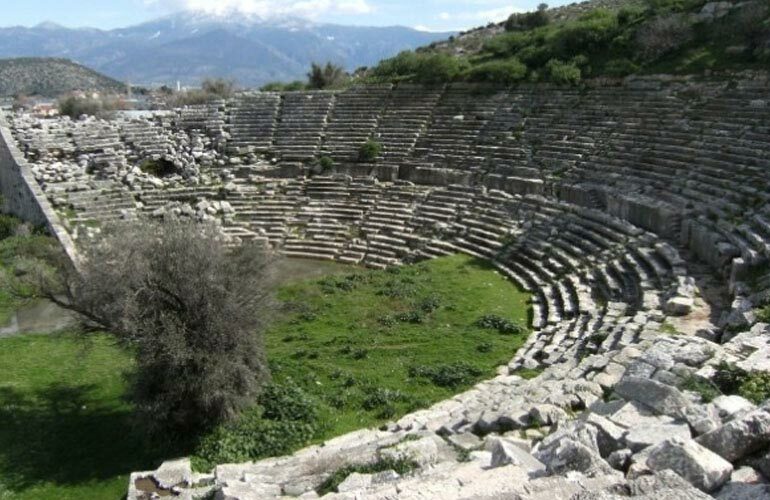 Besides temples, a greek theatre, nympheum and agora are the landmarks of the city. The Letoon trilingual, bearing inscriptions in Greek, Lycian and Aramaic, which has provided crucial keys in the deciphering of the Lycian language.